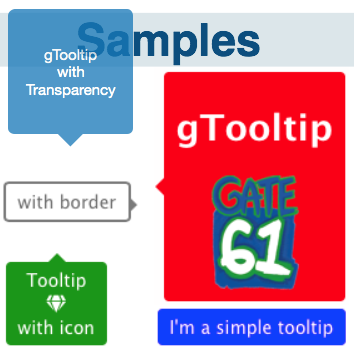 gTooltip is a powerful and flexible Xojo Custom Control (Web only) to define Tooltips (HelpTags). This control is compatible with all major modern browsers. gNotify is a powerful and flexible Xojo Custom Control (Web only) to display Notifications. 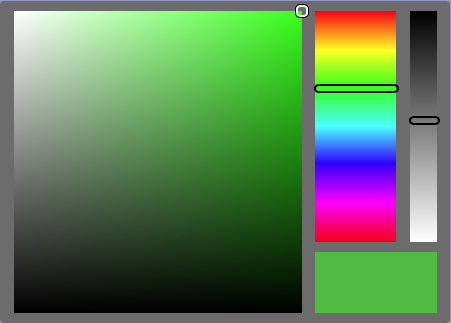 gColorPicker is a Xojo Custom Control (Web only) providing a nice and flexible Web Color Picker. This control is fully responsive and compatible with all major modern browsers. gGauge are Xojo Custom Controls (Web and Desktop) for generating and animating nice & clean gauges. gGauges are fully responsive, resolution independent and self-adjusting.